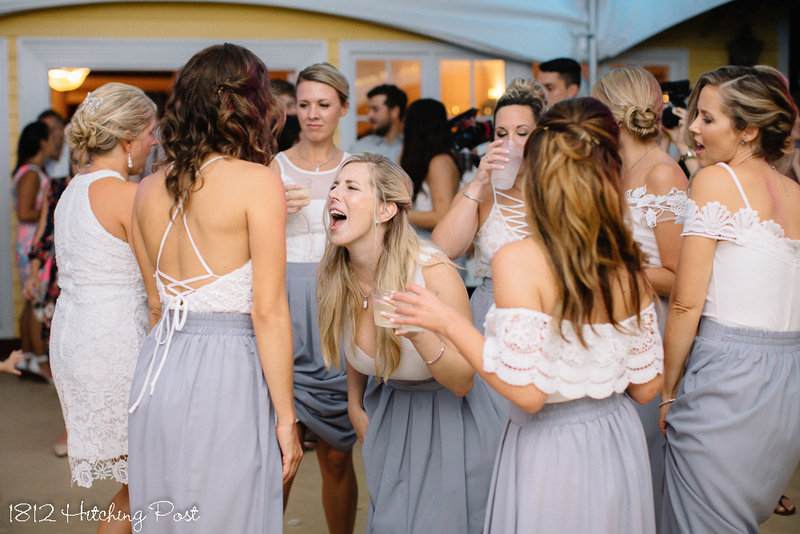 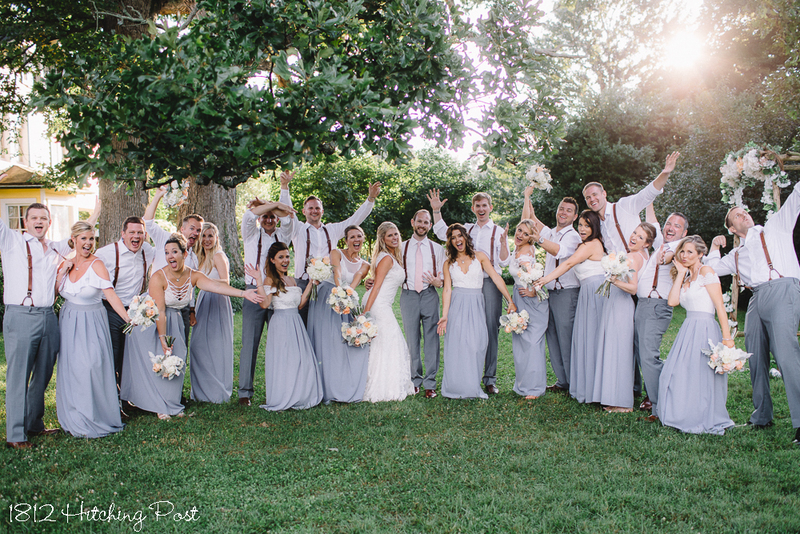 I LOVED the bridesmaid’s dresses for Leah and Todd’s wedding! 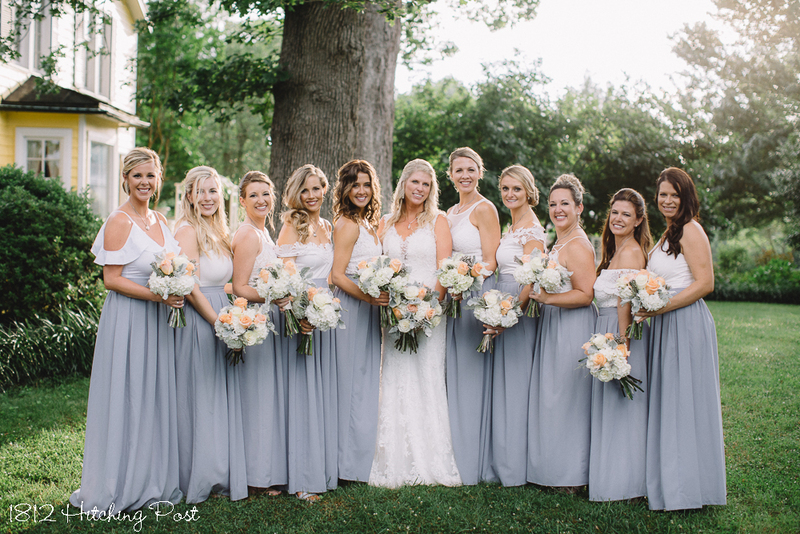 Each of the 10 girls had a slightly different dress with a gray skirt and white top. 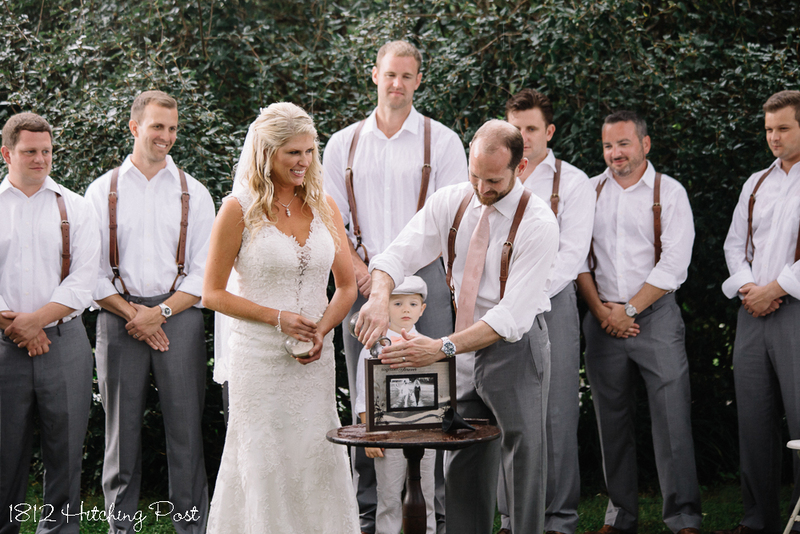 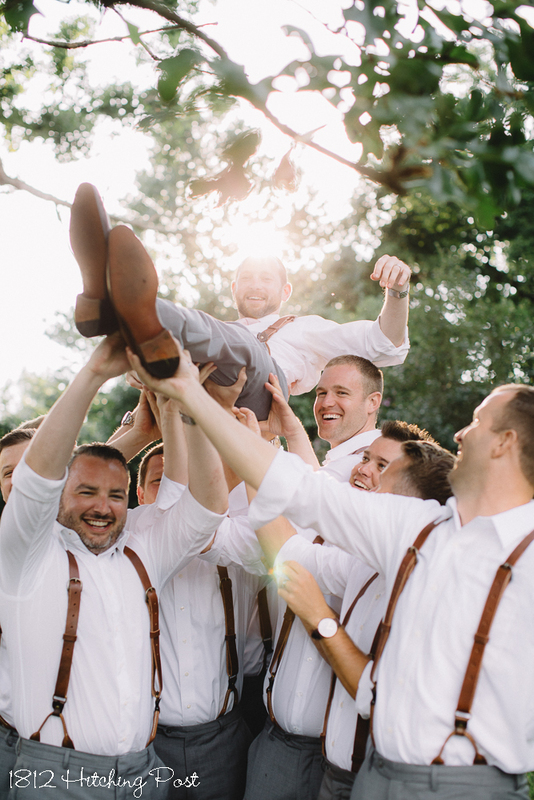 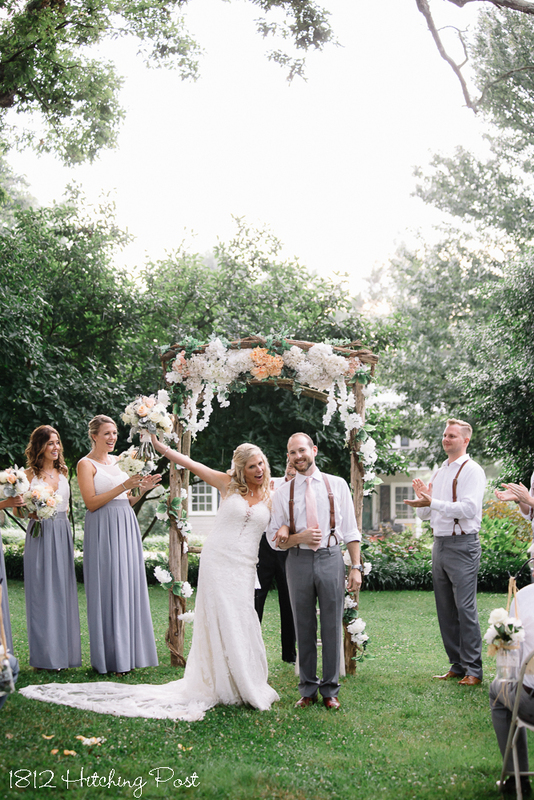 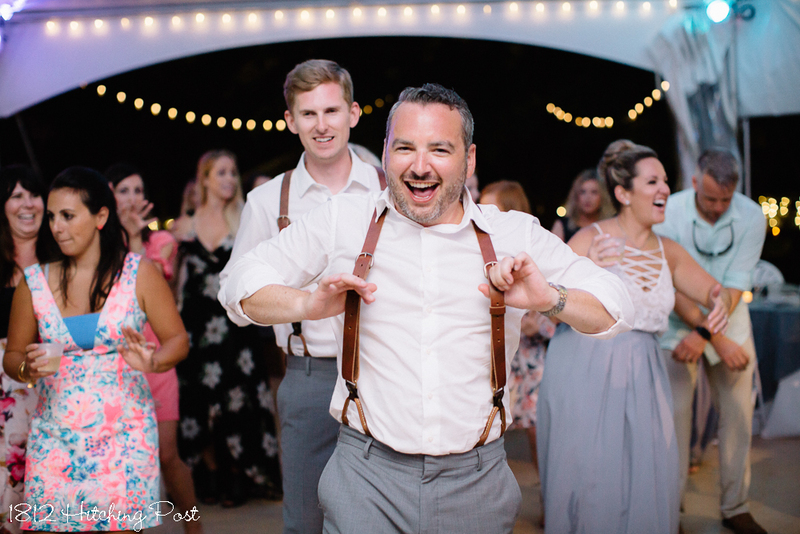 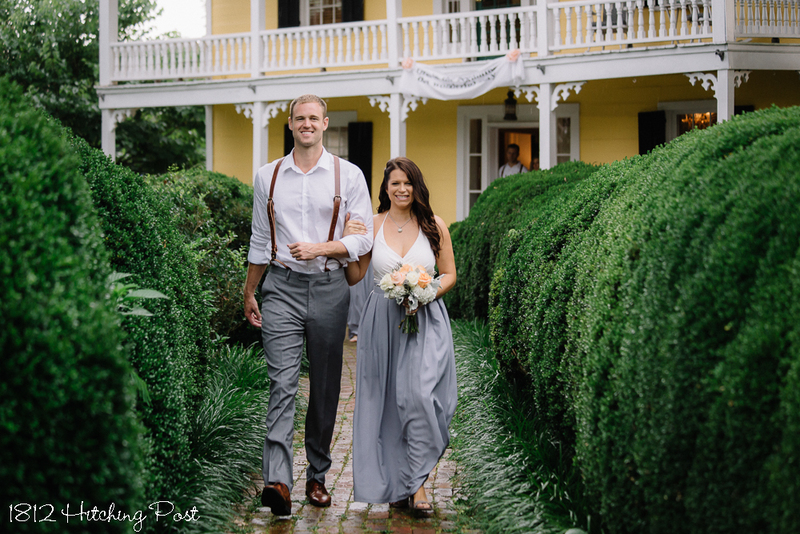 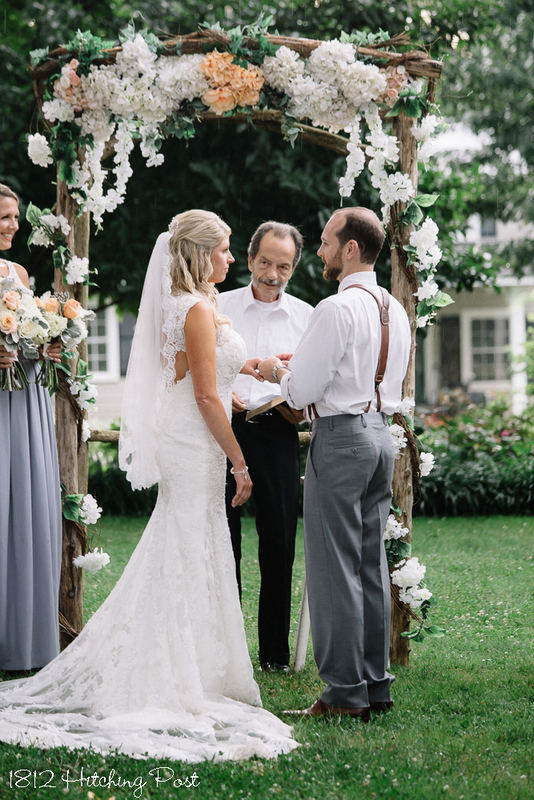 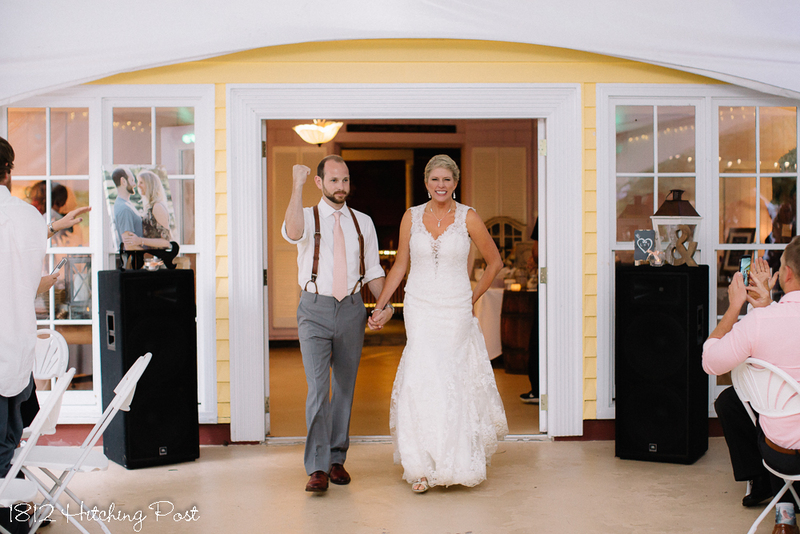 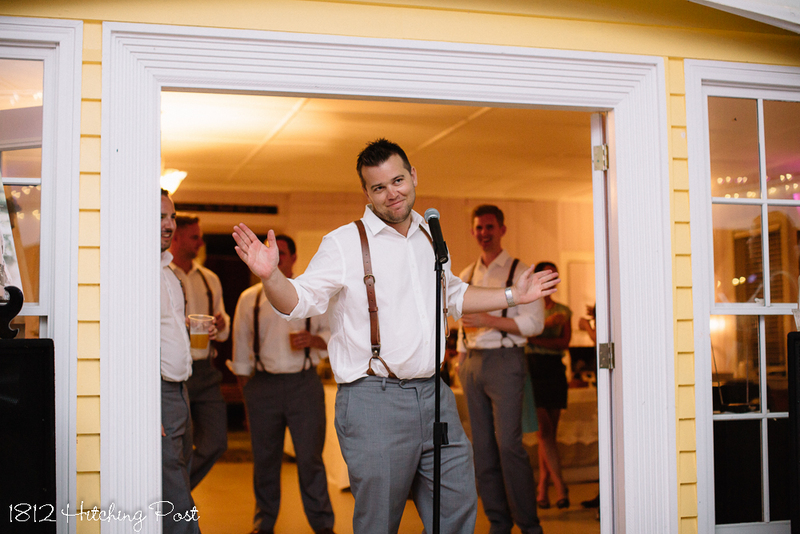 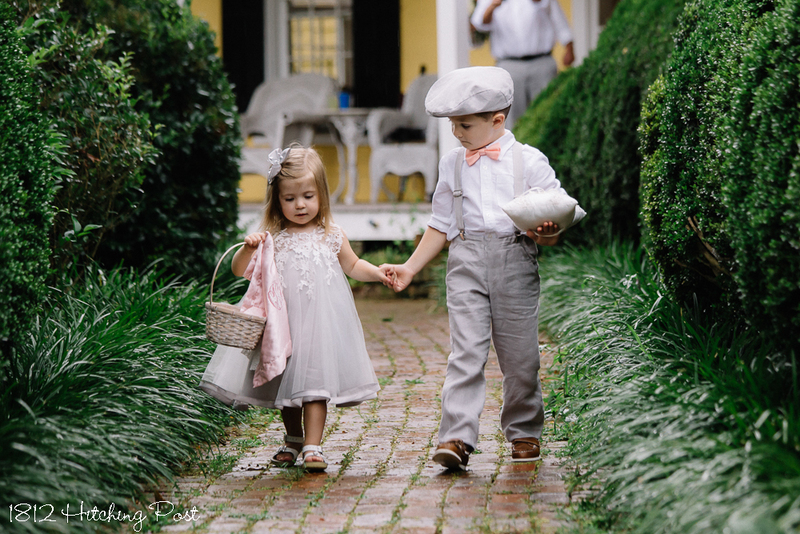 The men wore leather suspenders with their gray pants for a fresh and lovely garden style wedding look. 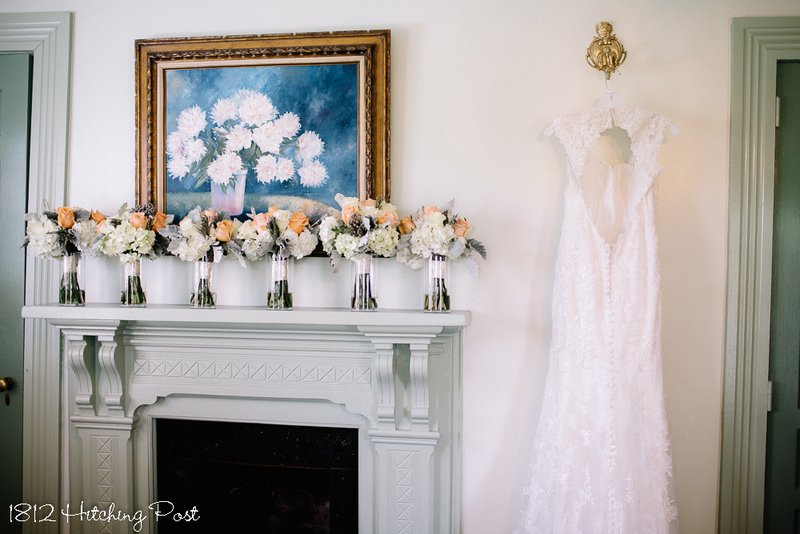 Flowers were pale peach and white. 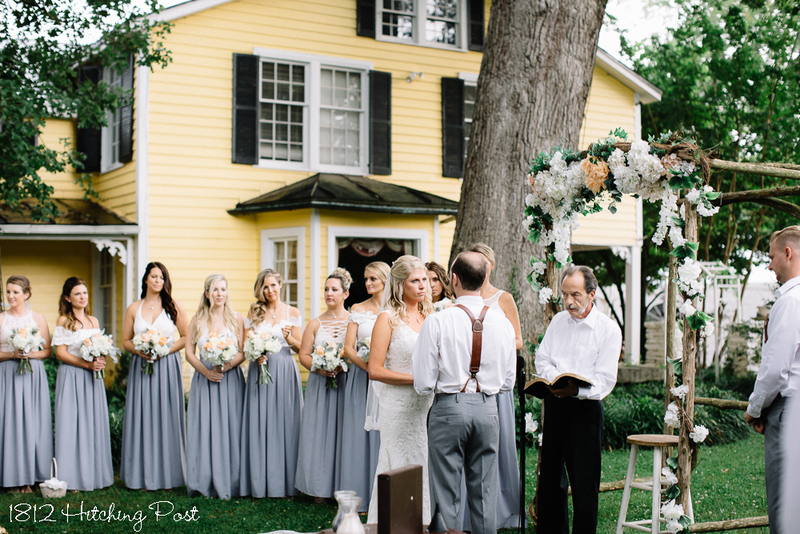 One of the bridesmaids, Cassie, was married here in 2009. 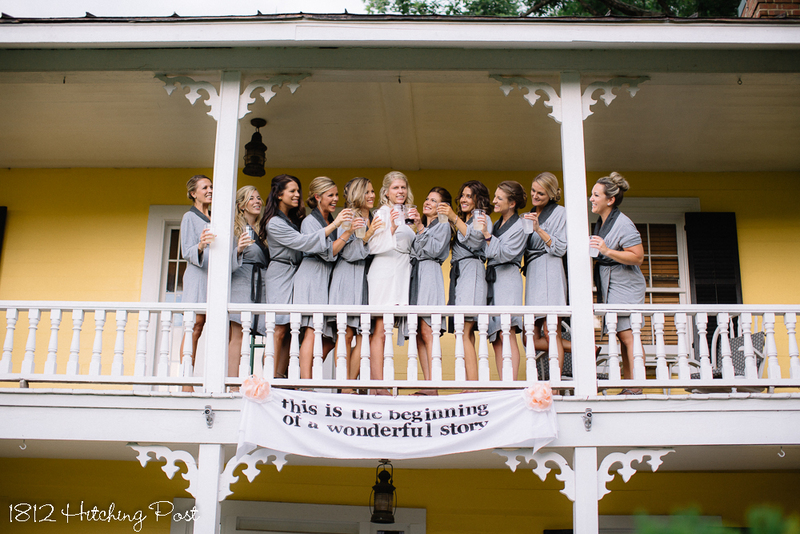 She brought the same banner they used at her wedding to hang on the 2nd floor balcony. 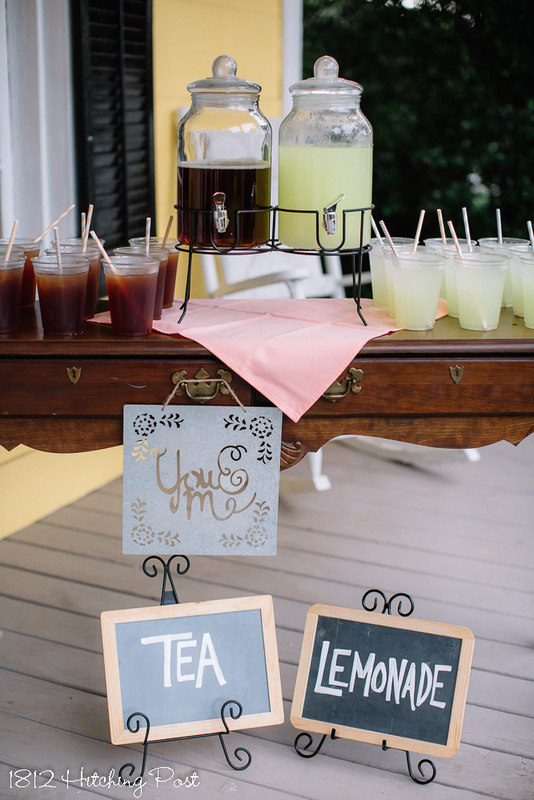 We set up tea and lemonade with peach and gray straws for the 120 guests to have refreshments on the lawn before the ceremony. 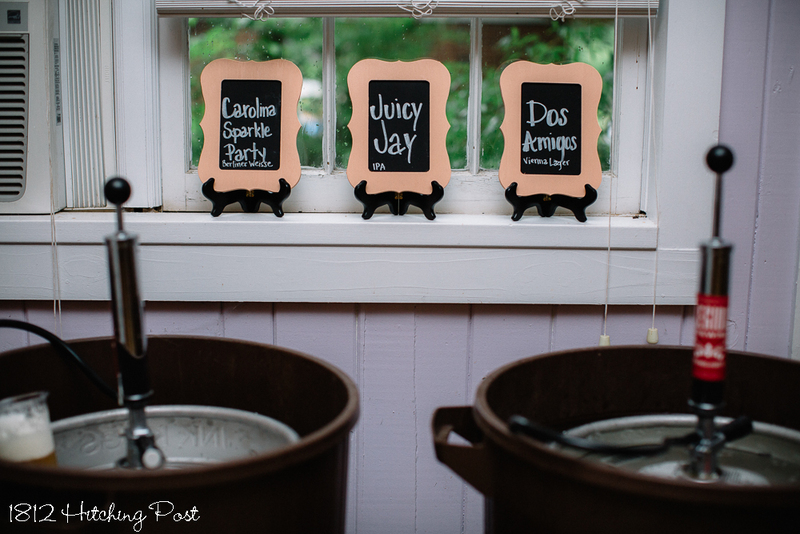 The couple had a southern menu of BBQ pork and chicken, potato salad, slaw, mac and cheese, and baked beans. 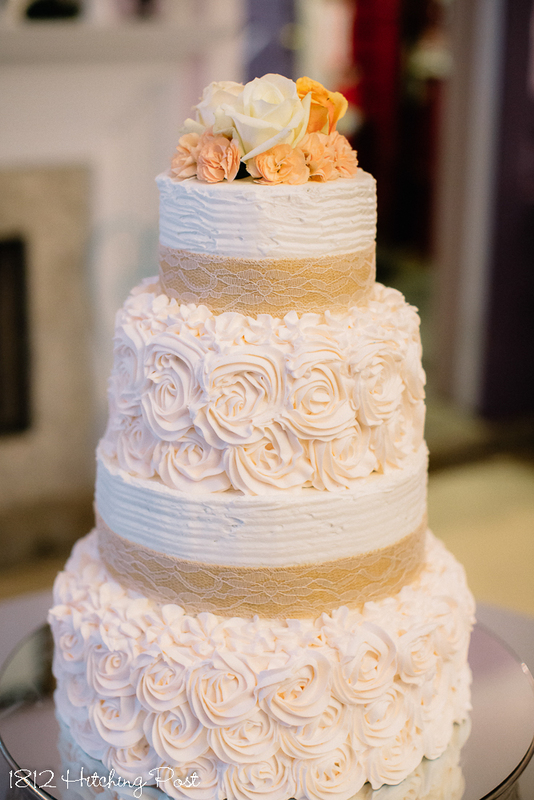 Their 4 tier cake was gorgeous with layers of peach roses alternating with layers wrapped in lace covered burlap ribbon. 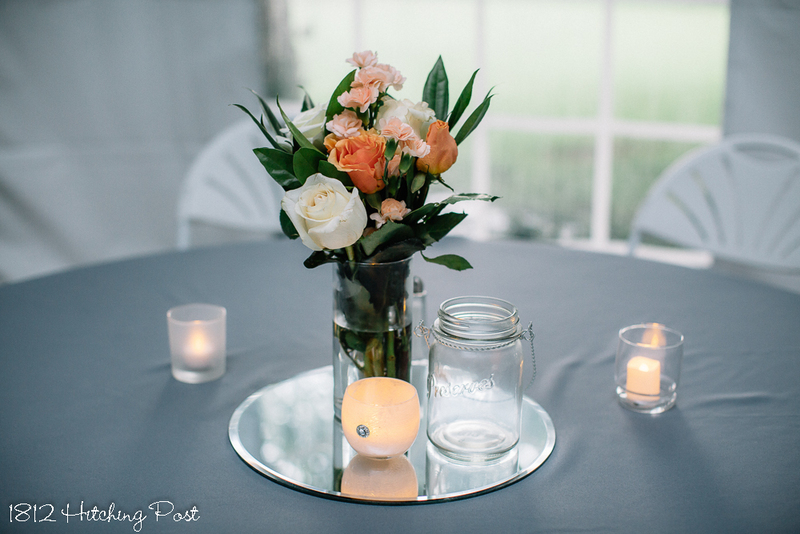 The dining tables had gray overlays and centerpieces were the bridesmaid’s bouquets in a vase on a mirror with candles. 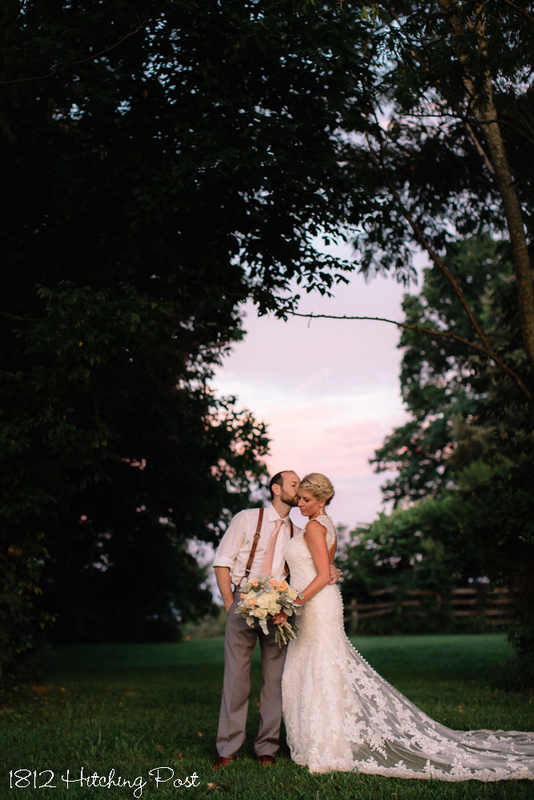 It was simply beautiful! 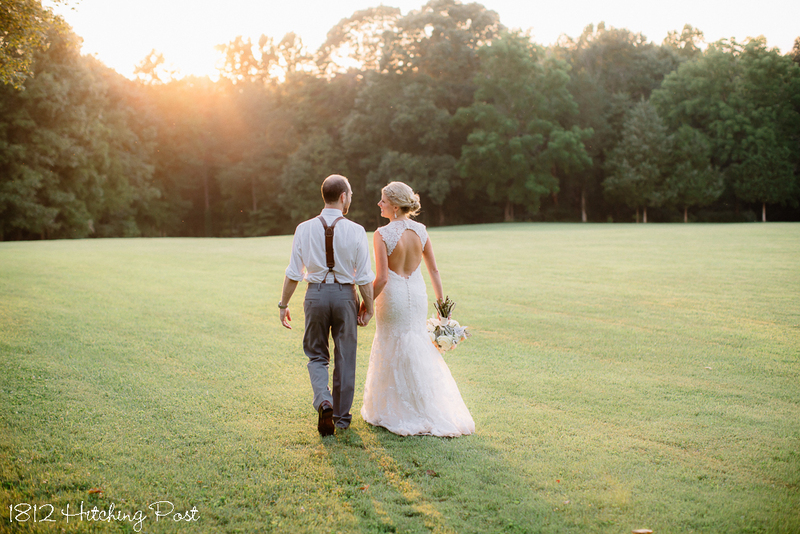 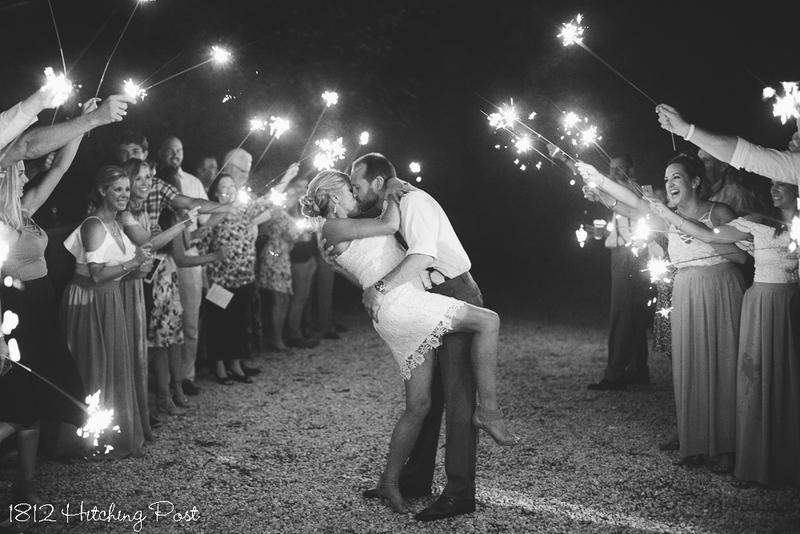 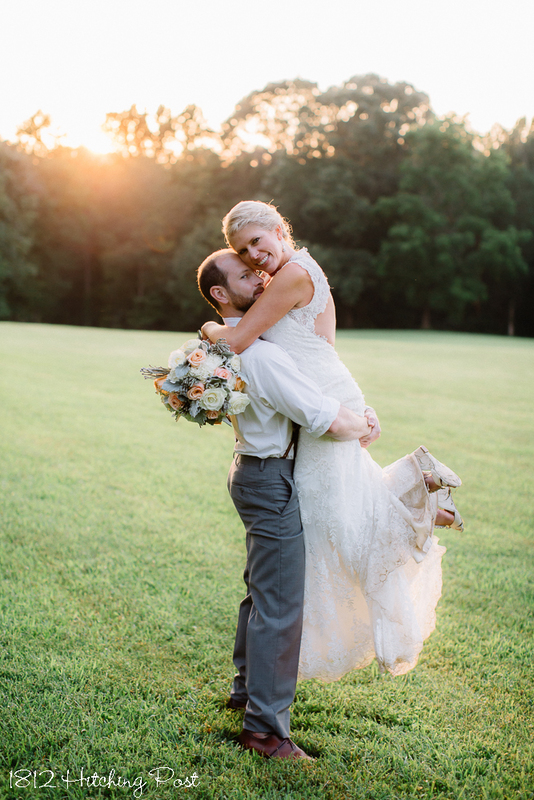 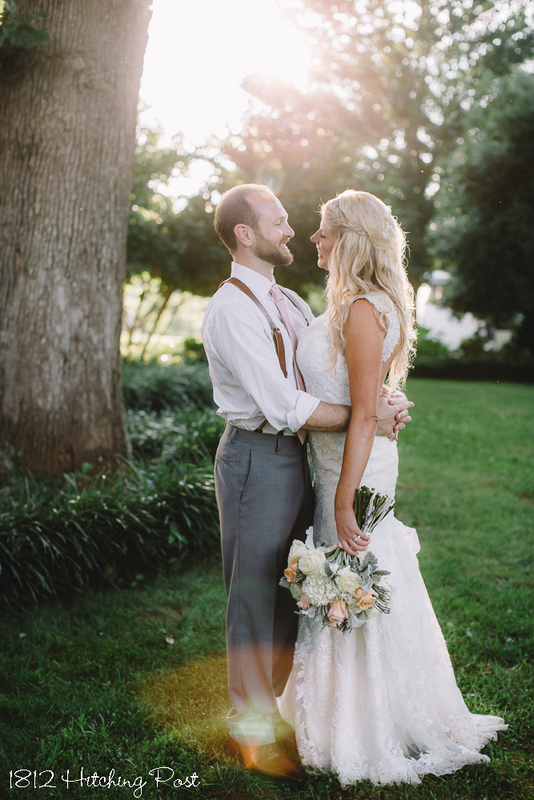 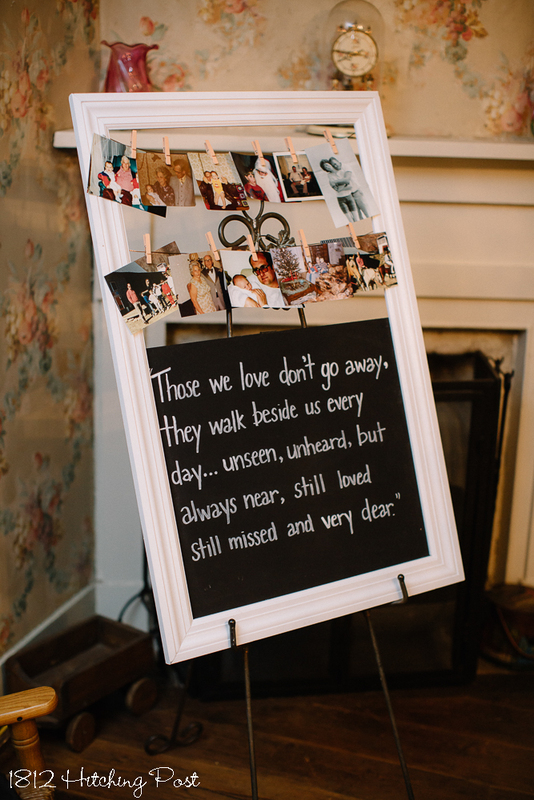 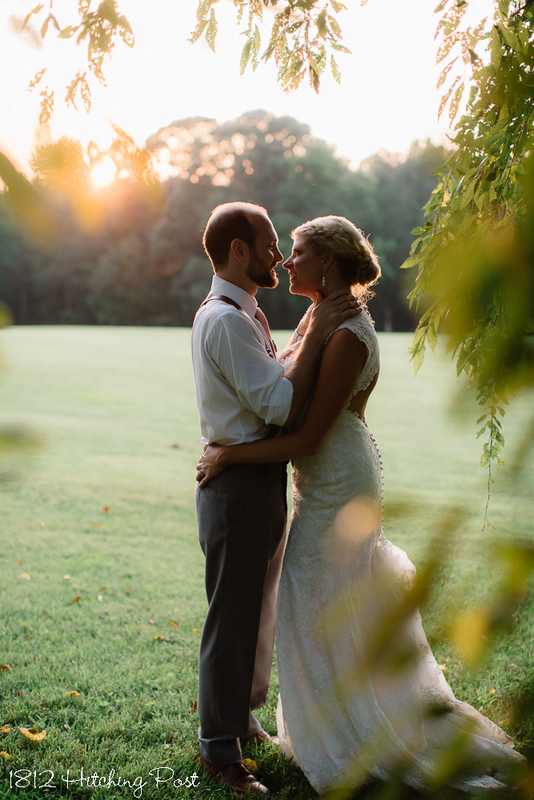 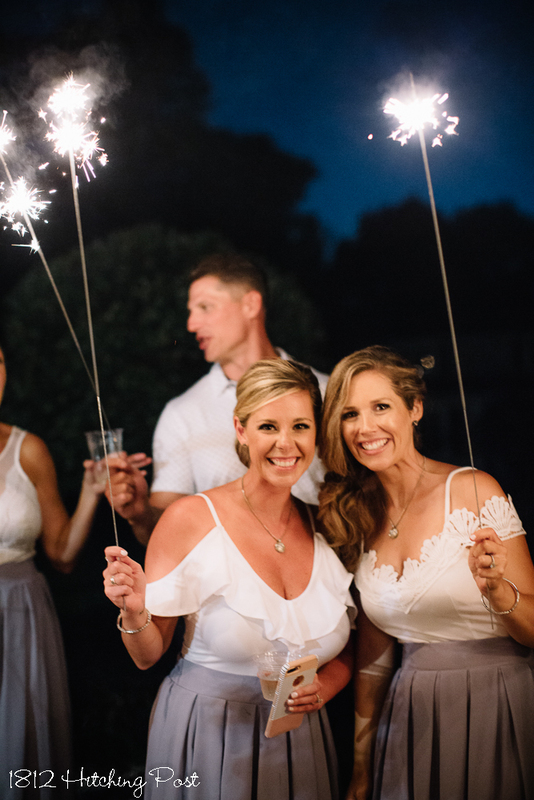 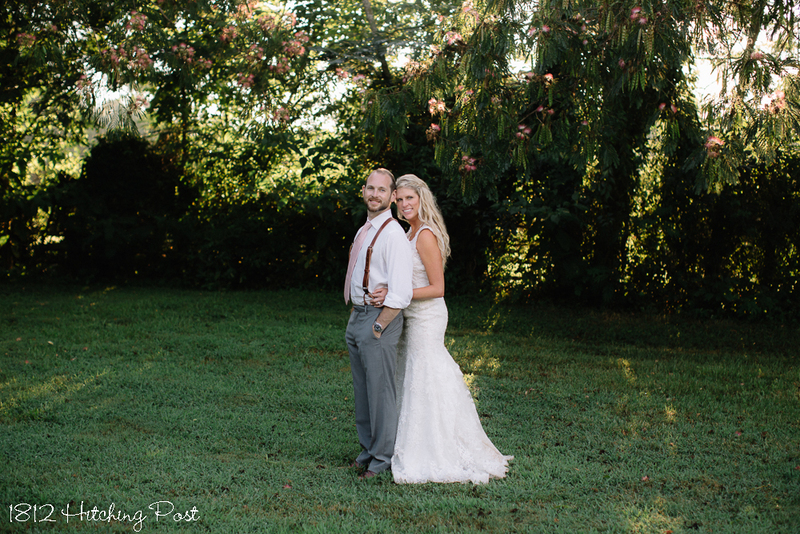 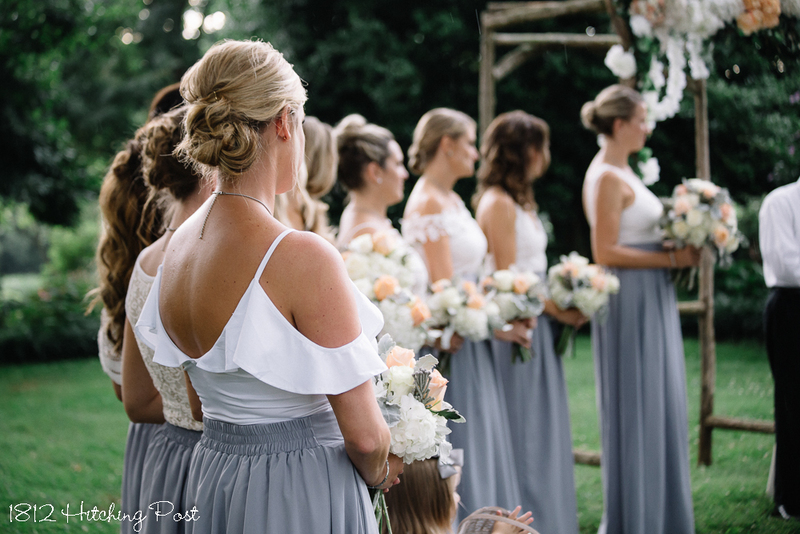 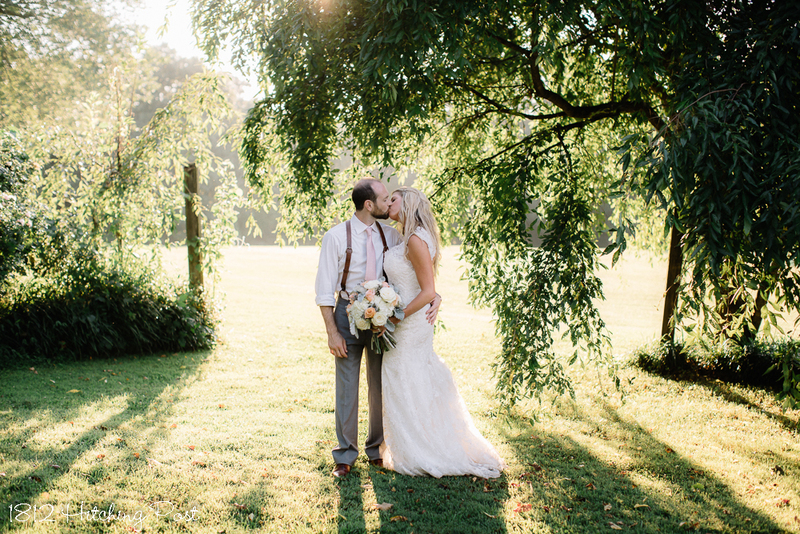 This gorgeous wedding was photographed by Taylor Cline.